Is Grammar Essential to Fluency? Does the thought grammar make you cringe? Are you one of the many people interested in how to learn Spanish or another language, but are hesitant because you don’t want to learn grammar? Maybe you’ve had bad experiences in the past with verb conjugations and endless grammatical rules that makes you loath the idea of learning a second language? Traditional methods of learning a second language often involve a lot of drilling over grammar. This can come in the form of tests and quizzes that may leave some feeling confident and others, less so. Currently, only one if four adults in America can speak a foreign language and a lot of that failure rests in how foreign language is taught to students in our public schools. This excessive focus on grammar tends to be a poor measure of one’s foreign language skills. So, if grammar is not a great measure of whether or not we can speak a language fluently, then can we move past it and focus on other things? The truth is that we need to know how grammar works in whatever language we are studying. However, it’s not necessary to learn it the way most language programs tend to teach it. Traditionally, the education system across the country has been one of memorization. This worked well with dead languages like Latin or Greek because you didn’t really need to speak those languages. However, as educational psychology has advanced over the years, we can see that there are better strategies than rote memorization of grammatical features when it comes to language learning. Luckily, language learning programs have adapted newer learning strategies to bring about the best results when it comes to achieving fluency in a foreign language, even though some of the school systems are still clinging to dated practices. Programs that tend to treat language like a subject (history or science) rather than as a tool to use often yield weaker results. The problem with focusing too much on grammar is that to know grammar, you need to know the language. Conjugating a verb 16 times does nothing if you’re not really sure how to use it in conversations. It’s often much better to use the words and learn the grammar along the way. You could memorize them, sure, but then you’re more likely to shutdown out of fear of making mistakes rather than accepting the fact that you will make mistakes and go after using the words that you do know. Focusing on grammar primarily isn’t effective because you’ve not fully mapped out the language yet. Think of learning a language like building a tower out of Legos. If you focus on building on what you know, you slowly get more and more complex along the way. It’s kind of like starting out with a foundation that you slowly add to until you have this monolith that draws attention from those who pass by. Focusing on grammar instead of a basic understanding of the language is like trying to build the roof before you build the building. It’s unnecessarily complex and ineffective. The only real exception is if you find grammar to be really interesting and this draws you to understanding the language, but most people aren’t that way when it comes to developing fluency in a foreign language. They want to speak it and pick up the grammar along the way. And for that, you need exposure to comprehensive input before you have enough of a knowledge base to advance your grammatical abilities. Grammar is still necessary. You need to know the basic components of a language to understand how it functions or you won’t’ make any sense when you talk. This is best learned by picking a foreign language programs that doesn’t make grammar the primary focus. As you delve deeper and deeper into a foreign language, you’ll slowly pick up the grammatical rules along the way. There will be moments when you need to explicitly review complex grammatical structures, but those are rare and they’re often much later on in your language learning program. By progressing naturally to these points, you’ll have enough of a knowledge base to keep you going so that your able to more easily learn these concepts. Is it worth taking the time to figure out? Sure, if you have the time. There are plenty of rules and structures to look over in there that will better prepare you for further language learning, but it’s best to skim through them and keep them in the back of your mind as opposed to obsessing over them. Remember, grammar needs context; otherwise, it’s not very helpful. And it won’t make you fluent. 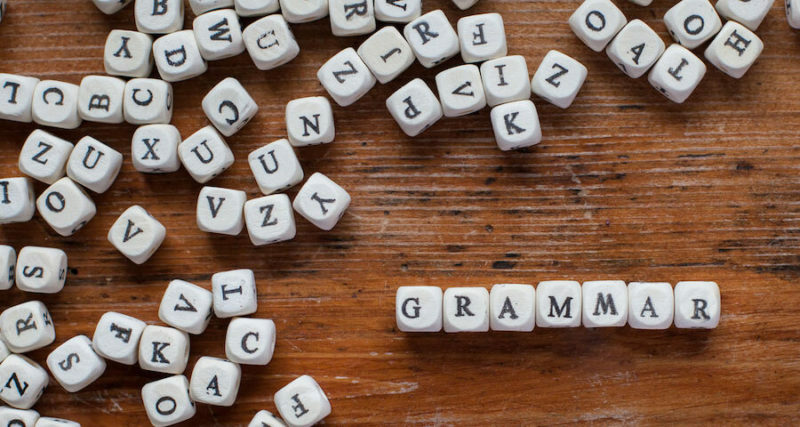 All that being said, there are areas where it is vital that you have a firm grasp on grammar. If you’re casually learning a language, then fluency is the focus. But if you’re in an academic program or you need it for a job, then you will need to make sure you spend a lot of time perfecting your grammar. There is a difference between being proficient and being fluent. People often judge others based on their writing ability, especially in professional communication, and if your foreign language learning is for these types of pursuits, then you need to take extra time to focus on grammar so that you convey your skill set in the target language. Where are your priorities? As mentioned earlier, most people who pursue independent foreign language learning do so because of personal interest. If you’re an avid reader and want to read and write well in your target language, grammar is important to make that happen. But if your main goal is to be able to walk into a restaurant and have a fantastic dining experience without uttering a single word of English, then you don’t need to spend endless hours memorizing rules and verb conjugations to make that happen. Instead, you should focus on finding enough interesting comprehensible input that promotes your language learning while stimulating your interests. The more you interact with the types of materials you find enjoyable, the better chance you have that the language you’re learning will stick.